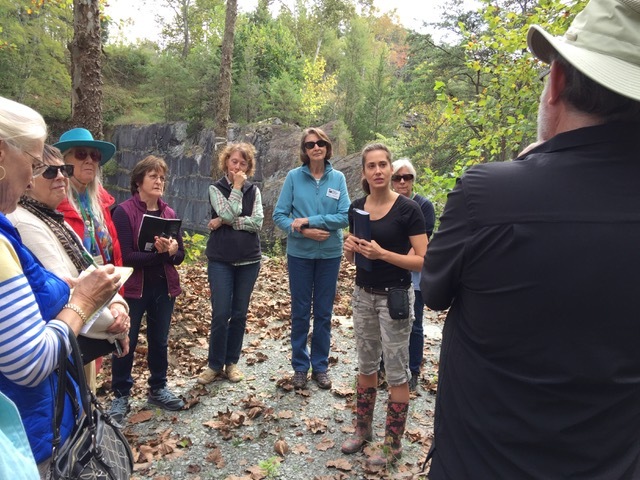 Forty Piedmont Master Gardeners, from the Albemarle County unit of VCE, came to the Quarry Gardens October 4 for their regular monthly meeting and program. 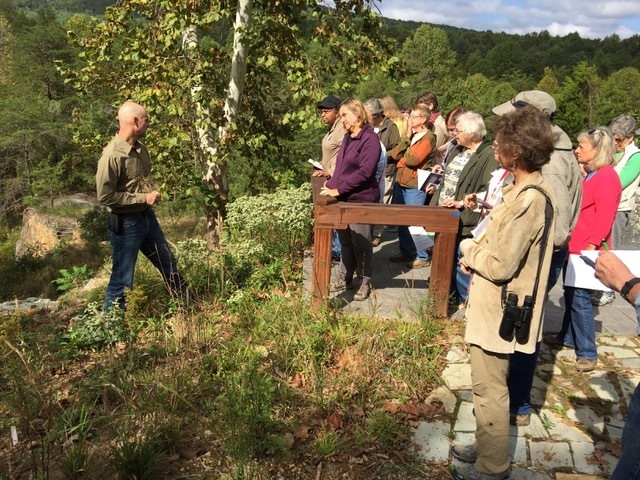 This month’s event featured a presentation by Devin Floyd, “Reading a Virginia Landscape—a Naturalist’s Perspective on Native Gardening,” followed by a walk around the site with Devin and his partner Rachel Bush, who has taken a leading role in the garden’s design and installation. The Visitor Center was ready—to the extent we had 40 chairs in the classroom, our state-of-the-art projection system working, and a restroom with not only the appropriate fixtures but even with walls and a opaque door (the only walls inside the building, the remaining spaces being outlined by framing only). 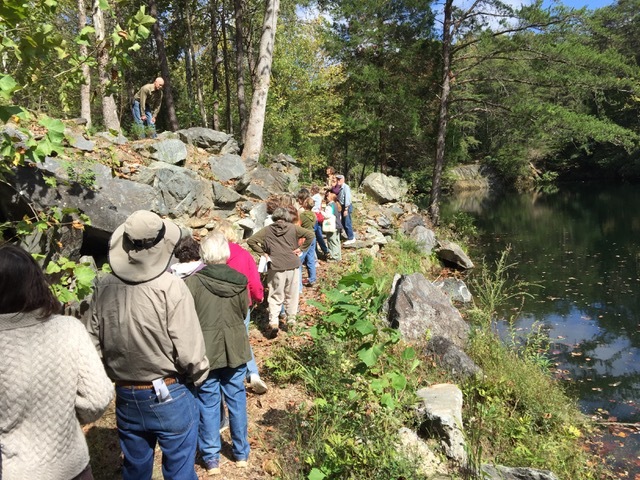 The featured photo is of our “classroom-without-walls.” The ones below are of Devin describing the plant communities at the overlook platform and the talus by the north quarry to his part ofd the group, and of Rachel with her part of the group on the trail.